Price points offer quick access to item variants, such as sizes, colors or SKUs. 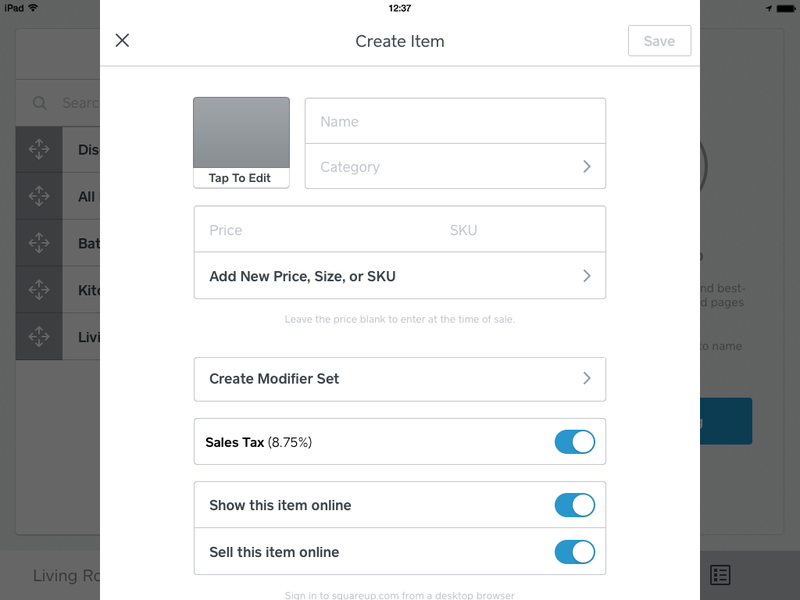 When processing a sale, item variants will display as options in the Square Point of Sale app and on your online store. Add additional price points by entering a name, price and SKU. If Inventory is enabled, you can add an In Stock quantity for each variation.